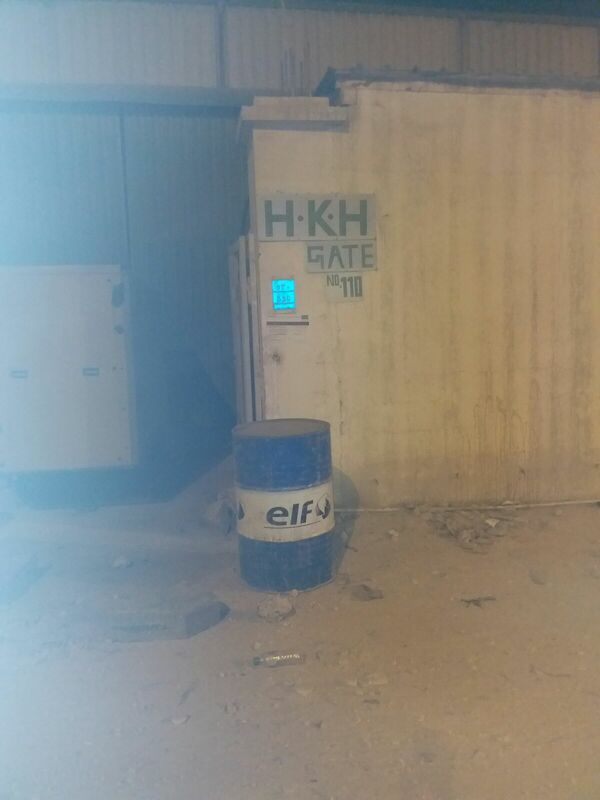 About 1200 workers from HKH Contracting Co have been left stranded in Qatar after not being paid for several months. Of these workers, 1100 were employed as labourers, carpenters, steel fixers, and mechanical and electrical workers. Another 100 were considered staff, including engineers, project managers, safety officers, administration. Several of these workers now face eviction. Migrant-Rights.org spoke to many of the affected workers. This is their case. The case of HKH raises several critical issues and challenges to the claims made by Qatar on the impact of its reforms and new regulations. The complaints mechanism is unclear and not always accessible. Workers were often sent from one complaint receiving centre of the labour ministry to another. The problems of Kafala is not restricted to lower income migrant workers alone but is one that encompasses all categories of workers. Yet, the response seems to be focused on who would receive the most attention, i.e., the group considered most marginalised. Even though in several instances forced irregularity (the expired IDs) of these workers was noticed, no cohesive action was taken against the company. All three ongoing projects are for established Qatari entities and employees continued working on these sites without pay or valid documents. For several weeks, the workers went without running water or electricity, depending on Qatar Red Crescent, the Indian Community Benevolent Fund and other community organisations for help and relief supplies, including diesel to power the generators. The trash outside the camps has been cleared, and Kahramaa has restored water and electricity connections. While the case of the labourers is finally receiving attention from authorities, the ‘white-collar’ staff continue to live in limbo. 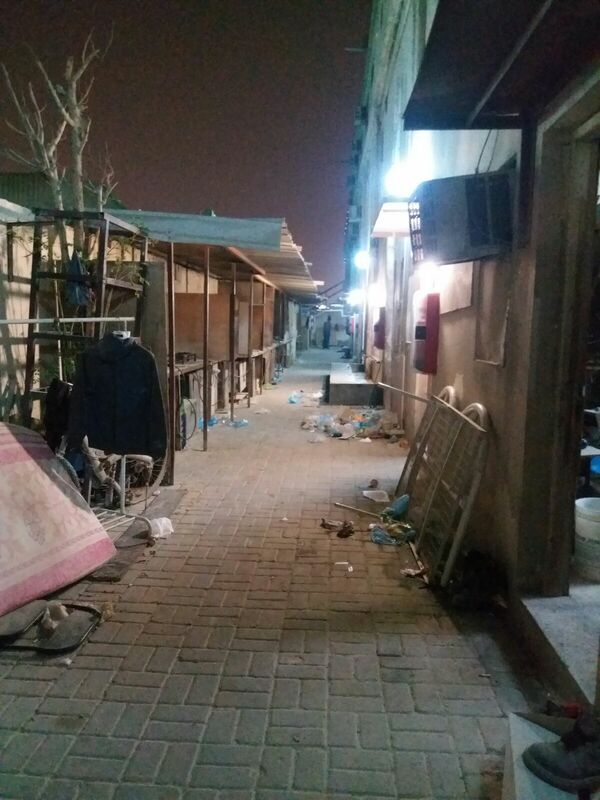 The landlord of staff accommodation (provided by HKH) in the Al Thumama area has given the ten occupants until this week to either pay rent or face eviction. The landlord has been stonewalled by the company for the last six months. Kahramaa electricity bills have not been paid since February 2018 either, and the employees fear power will be disconnected. Many others who lived in their own accommodation have already been evicted, unable to pay rent because they have not been paid, and now live with friends. For several years now, workers say their salaries have been delayed by a few months every time. According to records MR received, between September 2016 and August 2017, five of the payments took six to ten weeks to be processed. On 1 October 2017, when the June salary had still not been credited, workers filed a formal complaint to the management. A verbal assurance was given that ‘everything would be sorted out’ and everyone went back to work. However, things continued to deteriorate and as of now, the staff haven’t received salaries since September 2017. The labourers’ salary was also regularly delayed. “We approached the police two to three times and we would get the salary with their intervention.” Since December, even that intervention has failed. They were not paid overtime since December 2017, and from January 2018 the company began to default on their salaries as well. 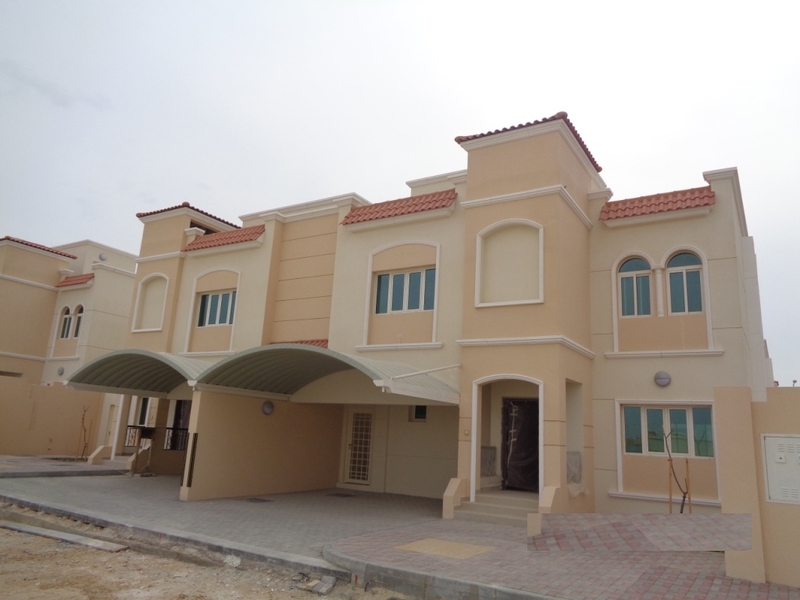 The villa compound project in Al Khor for Al Aqaria is yet to be completed. Workers in HKH labour accommodation have had to endure months without running water or electricity. 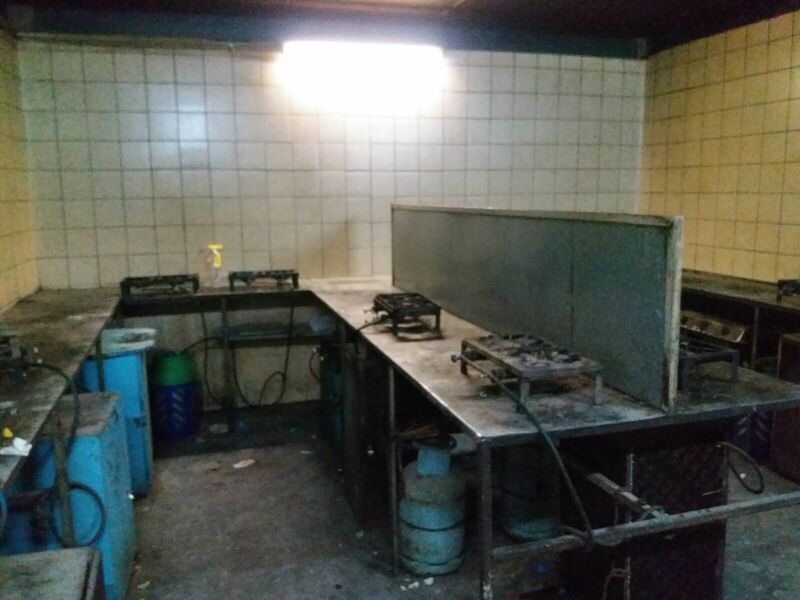 The kitchens remain in disuse as workers have no resource to make their own food. They depend on charity and handouts. The labourers put in 48-hour work weeks with another 15-20 hours a week as overtime, giving a substantial boost to their QR900-QR1200 salary. “There said HKH is expecting a big project and everything will be solved once they get that. " Non-payment of wages was the last straw for the workers. 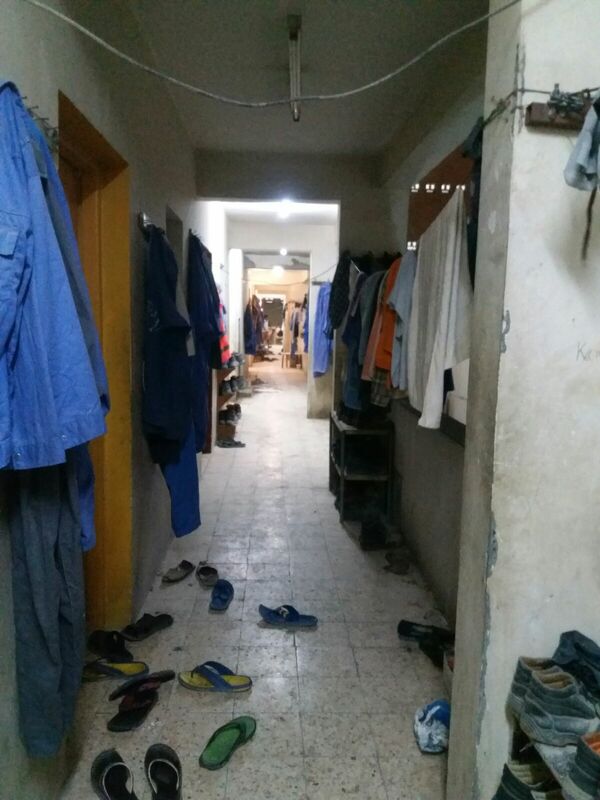 Some of the labourers haven’t had Qatari ID for the last one year. “The police would stop the bus and check our IDs. They will sometimes call the ‘mandoop’/ PRO (the public relations officer who liaises with the government) and he will tell them it will be renewed in a week. Sometimes they will detain us if ID expired more than six months ago, and we will be in custody,” says one worker. According to the staff workers who confirm this, HKH charged their staff visa renewal fees until 2016. Most of the workers did not have a health card. With delayed salaries, it was not always possible for the workers to cough up the fee for work permit renewal. Many of the employees who have worked for two years or less, have chosen to go back without fighting for their dues. The situation is dire without food, work and basic facilities, so the suffering seemed disproportionate to any past wages and benefits they might receive. It wasn’t only the complaints filed directly to management – which included delayed and non-payment of wages, failure to renew visas, and unsafe conditions of the transportation vans – that went unheeded. HKH once had an ‘A’ rating (the company website is yet to correct it) and its clientele included Qatar Petroleum, Al Jazeera, Sheraton Hotels and several government agencies. HKH had three ongoing projects, all of which have been stopped. These are maintenance of Kahramaa (the Qatar General Electricity and Water Corporation) substations, a project for Al Aqaria (Qatar Real Estate Investment company) in Al Khor, and a tower for Sheikh Khaled bin Hamad Real Estates in Doha’s West Bay. Migrant-Rights.org reached out to Al Aqaria who confirmed that the project was yet to be completed and that no work was currently ongoing, but the company was unable to provide any additional information. The Al Aqaria project alone has over a dozen sub-contracting companies working under HKH. 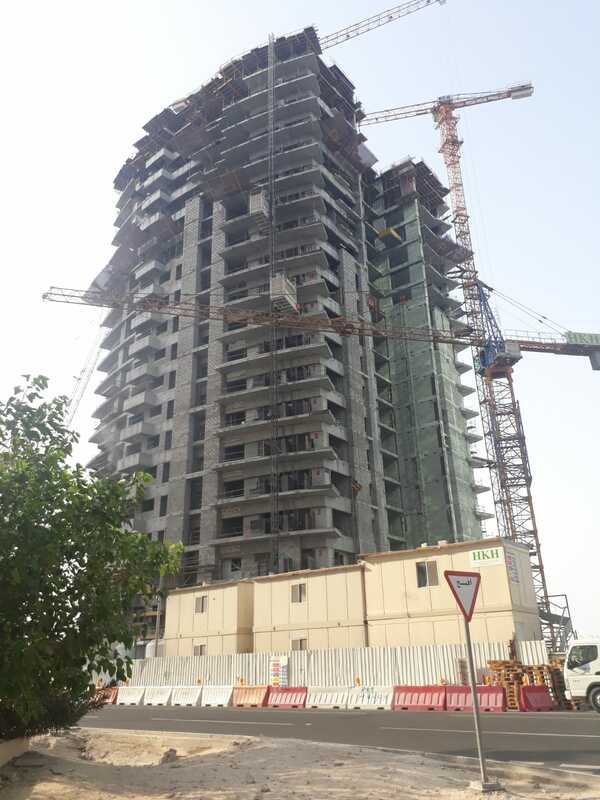 The West Bay tower project has close to 50 suppliers and sub-contractors. According to sources, these companies have not been paid, but it is not yet clear if the workers employed by the sub-contractors have also not been paid. MR also contacted the former Deputy General Manager of HKH for a comment. The workers had reached out to him for help and he had promised resolution several times (MR has seen the communication between the parties). He has since relocated to Canada, and preferred not to comment, as according to him he only stepped into the role in the absence of the GM. The former DGM is the son of the General Manager of HKH, Nadeem Rustom, who is also an authorised signatory. The other two authorised signatories as per the commercial registration are Ahmad Saleh Alkhalaqi and Abdulrahman Al Thani. We were unable to reach them. The company was founded by Sheikh Hamad bin Khalid bin Hamad Al Thani who passed away in 2012. Sources say the company started facing problems soon after. Complaints were registered at the Indian Embassy on 10 April 2018, and later at the Nepal and Bangladesh embassies. The respective embassies of the workers (primarily Indian, Bangladeshi, Nepali, Sri Lankan and Filipino) were only able to offer rudimentary help - letters to the management of the company and where possible, relief material. On 15 March 2018, staff filed the first complaint at the Al Khor police station. The police promised to enquire with HKH and the complainants themselves (at this point unpaid for seven months) went back to the company on March 18 demanding payment. More promises were made, and not met. With looming evictions for the many workers living in private accommodations, they went back to the police station and were asked to wait until 1 April. On 10 Apr1il 2018, the employees of HKH were told that they will register the case by 16 Apr1il 2018. With the goalpost changing almost daily, more workers went in to file a complaint. Some who tried registering their complaint after 1 May 2018 were told that no new complaints would be received until 10 May 2018 because of the high volume of complaints against HKH. A group of workers went to the human rights office of the Ministry of Interior in Madinat Khalifa on 12 April 2018 to complain about the situation. They were told that the human rights office cannot interfere until the case gets registered. So they then went to the NHRC (National Human Rights Committee) on 12 April 2018 and registered a complaint. A large number of labourers also filed a complaint, which led to NHRC coordinating with Qatar charity, Indian embassy, Nepal embassy, ICBF. During this time, a group of labourers went to the labour court in the Industrial area twice to protest and demand justice. Once again, they were assured that everything would be resolved in a few weeks. The impact of unpaid pages goes beyond the workers' daily sustenance. One of the Filipino engineers was taken into custody and jailed for almost three months for defaulting on his loan. Some of the other staff have also received calls and messages from banks threatening legal action for defaulting on payments. Some of the labourers who had registered their complaints in the industrial area were given a court hearing on 8 May 2019, and then told it was postponed to 20 May. But those who filed the first set of complaints in the Al Huda tower branch of MADLSA did not receive a hearing date until much later. With no decision makers to reach out to, the employees are at the mercy of other expatriate staff – in accounting and the PRO – to get any kind of clarity. “They are the ones who are helping a bit. Preparing release papers for those who have found jobs, and things like that,” says one employee. The case has been referred to the ILO, which recently opened its project office in Qatar.